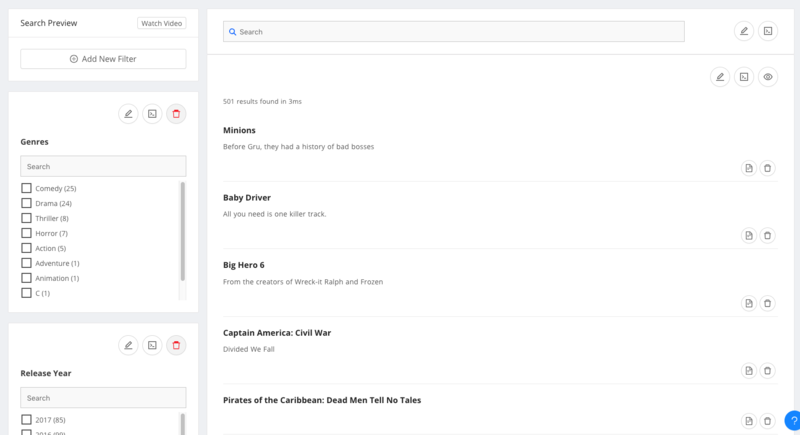 Search Preview offers a drag and drop interface for building and testing your search Ux visually. Search Preview allows configuring the search, filtering and result options to build and test the search UI visually. 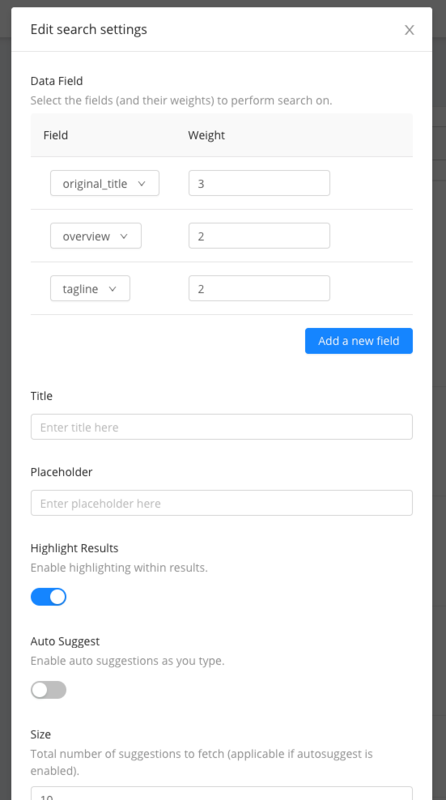 You can configure the search to set which fields should the search apply on, including the weights associated with the fields, set / unset highlighting of results and auto suggestions, typo tolerance and whether to match all terms or any terms. 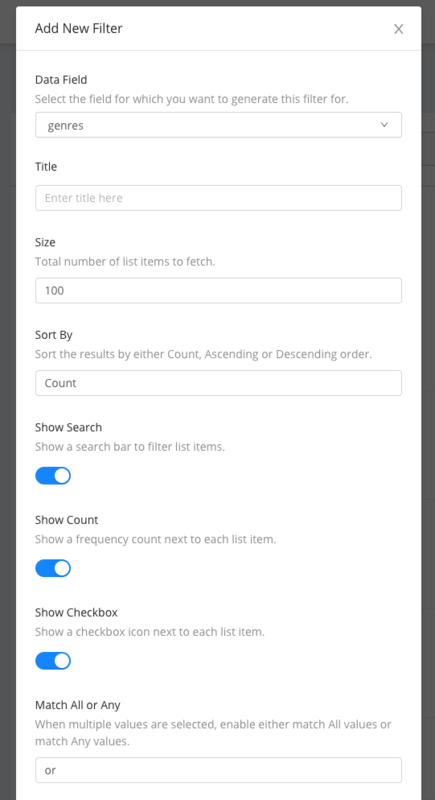 When adding a new filter option, you can select the field on which to apply the filter, how many values to show in the list, whether to display the count values, how to sort the list by, and whether to allow single or multiple selections. 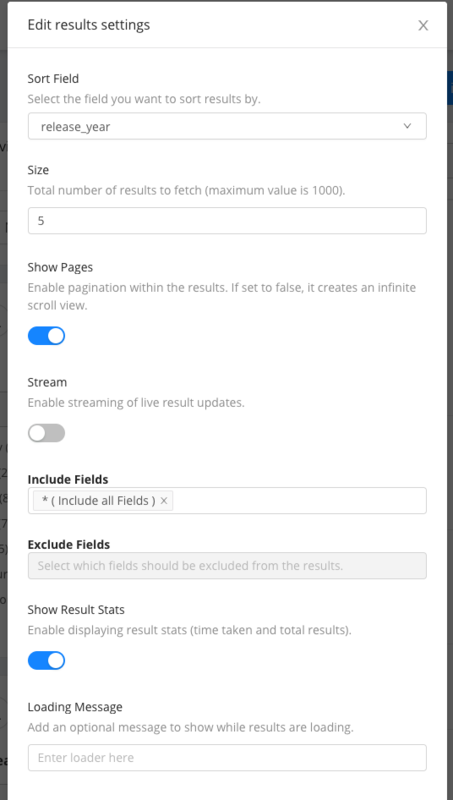 When editing the result options, you can decide what field to sort the results by, how many items to show in a page, whether to show pagination or use infinite scroll as well as configuring which fields should show up in the results. 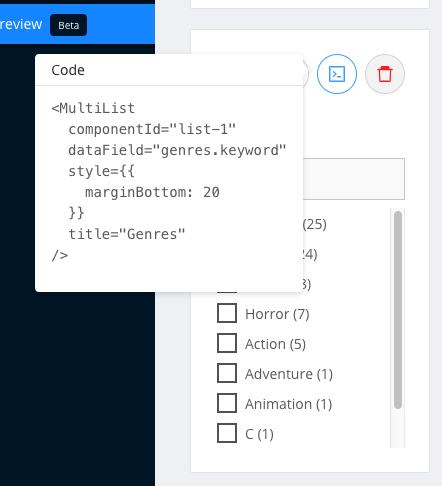 While you are visually building the UI, Search Preview auto generates the codebase that can be previewed individually for each component or exported directly to Codesandbox.